Prior to attending medical school, Dr. Dery completed his Master's Degree in Public Health, focusing on poverty in resource poor countries. Following his completion of medical school, Dr. Dery went on to complete his residency in internal medicine at Case Western Reserve University, where his research and medical focus was on the influence that poverty has on health. 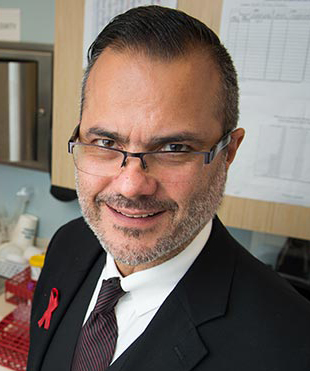 After completing his training in infectious diseases at the Tulane University School of Medicine in New Orleans, Dr. Dery joined the Tulane faculty, where he focuses on researching and addressing the social determinants of health, particularly as they relate to HIV/AIDS. Dr. Dery is the Medical Director of the Ryan White funded T-Cell Clinic, (featured in TIME Magazine), which has been on the forefront of instituting innovations in HIV research and care into its practice. He is proud of the fact that the T-Cell Clinic was one of the first in the South to prescribe PrEP and to begin immediately starting people diagnosed with HIV on anti-retroviral medications. Following his graduation from UCLA with a degree in Development, Graham Patterson spent six years focused on building new programs and partnerships in the social sector. In 2013 he returned to school in order to pursue a master's degree in Public Policy, which he completed with honors in 2015. Graham has an enthusiastic and inquisitive personality and a love for data-informed solutions. In his free time you'll find him reading the news, cooking, or planning for his next trip - ideally to a spot with scuba diving. Shavonne received her undergraduate degree in Biology and Chemistry from Xavier University of Louisiana and went on to study Biomedical Sciences and Physiology in graduate school at Georgetown and George Mason University. Besides serving as Program Coordinator, Shavonne oversees day to day aspects of the national HIV/HCV Co-Infection Practice Transformation Project, which was created to cure Hepatitis C in patients that are also living with HIV. In her free time, Shavonne enjoys going to art art exhibits, listening to live music, and enjoying the outdoors.